HOPE – The quality of the academic growth occurring within the Hope Public School District is beginning to become evident, as the district’s latest general report to the Arkansas Department of Education reflects, the Hope School Board learned Monday night. HPSD School Improvement Specialist Carla Narlesky outlined numerous factors which have gone into the changes which have begun to become evident in standardized testing. Narlesky said that the two campuses which had the poorest showing in the 2017 administration of the ACT Aspire, Clinton Primary School and Hope High School, were both improved in all categories in the 2018 administration of the test. “They had to make sure that they were consistent across the board,” she said. Narlesky said that all five campuses of the Hope district were above the state average for the “value added growth” component of student performance. Three campuses, Beryl Henry Elementary, Yerger Middle School, and Hope Academy of Public Service, finished among the top five middle schools in southwest Arkansas in math and English Language growth. 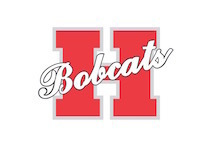 BHE was first overall in both categories, while YMS was third overall and fourth in math and fifth in ELA, and HAPS was also fifth in ELA across southwest Arkansas. Narlesky said the results showed the district’s focus upon literacy and the greater impact of initiatives in attendance and teacher development. She said all five campuses showed a 90 percent or better attendance rate for the period. Specific initiatives during the period have included a three-year team institute at CPS; daily academic intervention time at BHE; dramatic reductions in discipline referrals at YMS; Beta Club membership growth by 78 students at HAPS; a visual student progress center at the CATS campus; and a literacy initiative at HHS that extends across all subject matter. HPSD Superintendent Dr. Bobby Hart commended the efforts on each campus and the recognition by the University of Arkansas Office for Education Policy of the student growth at BHE, YMS, and HAPS.